Classically Scottish, this fabulous crumbly textured buttery 'biscuit' is a must at Christmas time. This version is the first of several that I will show you over the next few days in the lead up to Christmas. The recipe is basic and super easy. 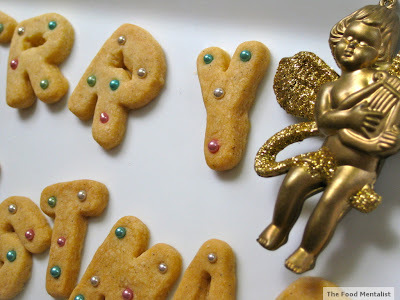 It can easily be adapted to include many different flavours and textures. 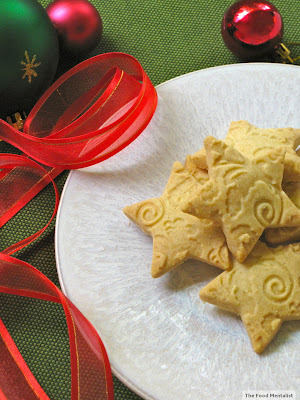 The result is a classic and delicious buttery shortbread. 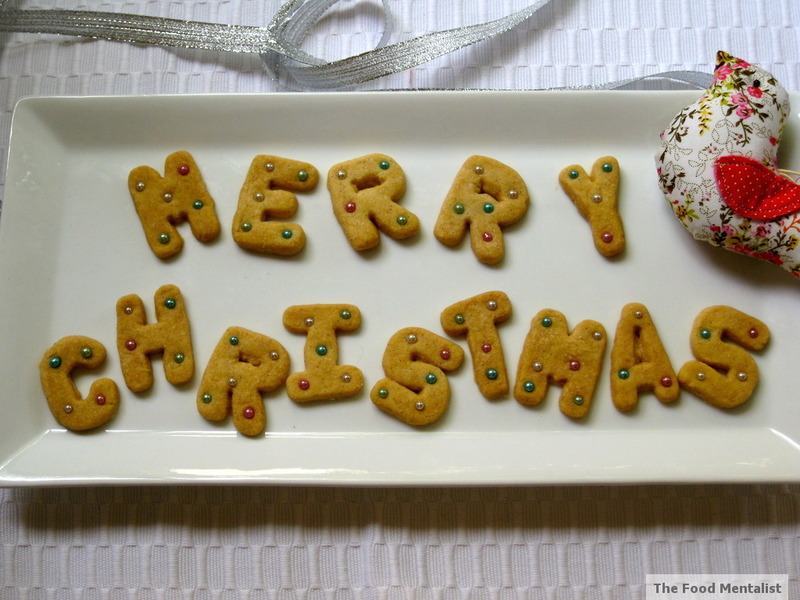 Perfect with a cup of tea, coffee or perhaps a glass of eggnog? 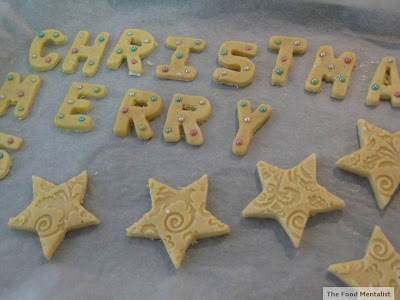 Stir through icing sugar and sift in flours and salt. Form into a ball and wrap in plastic wrap and place in fridge to firm up for 20-30 minutes. Remove from fridge and roll out to 1/2 cm (or desired thickness) on lightly floured surface. 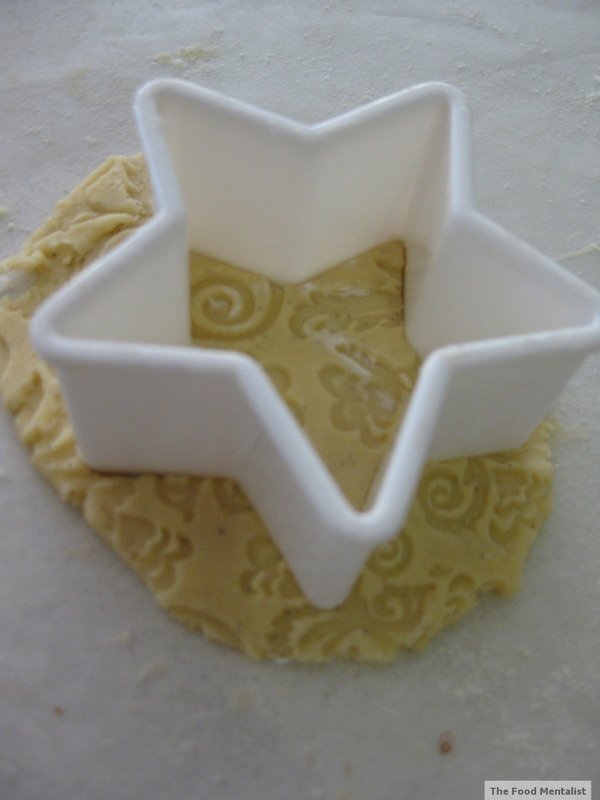 (Optional) If using a textured impression mat - press lightly floured mat gently into the rolled out dough before cutting out shapes. Using cookie cutters or a small paring knife cut out desired shapes and place on baking tray which has been lined with baking paper. 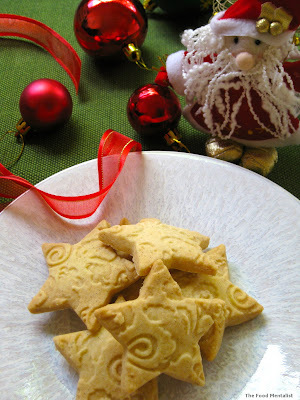 Lightly press several cachos into each shortbread 'biscuit' (optional). Bake for 30 minutes or until lightly golden in colour.Transfer to cooling rack until cool and store in an airtight container. These actually taste better 2-3 days after they have been made. What are your favourite baked Christmas treats? 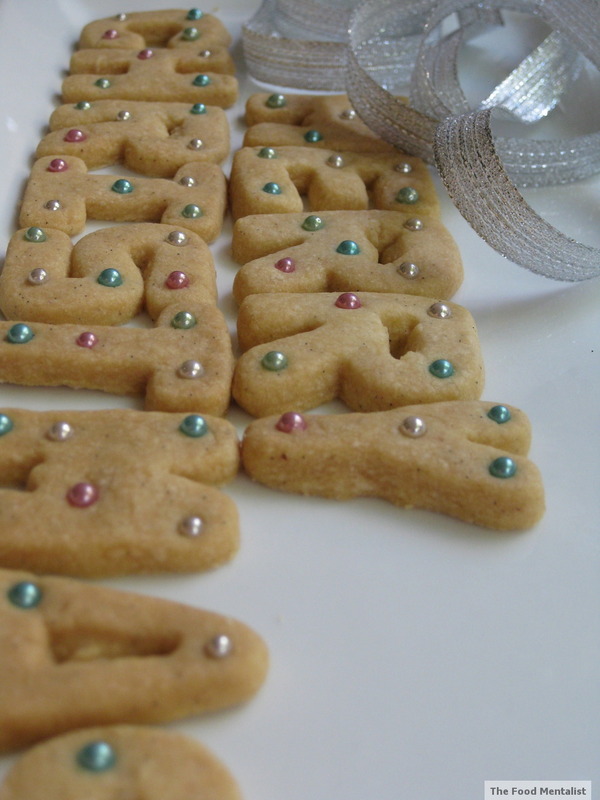 I LOVE the pattern on your cookies, it gives it a sophisticated look. the design on your cookies are so pretty love it! I think I should give this recipe a go. I've never been game enough to try shortbread. But they look wonderful!